An average of $86 million in federal transportation dollars is spent on transportation projects throughout the northeast region of Minnesota. These funds are allocated according to a federal formula and managed by the state. Most of this money (about $78 million) goes to MnDOT and is used to maintain the freeways, state highways and bridges in the region. Approximately $5 million goes towards county highways, local streets, and transit in the,the MIC area. A small allocation is also made for non-roadway projects, such as paved trails, through the Transportation Alternatives Program (TAP). Separate processes are conducted for the Duluth metro and the rest of the Arrowhead region. The MIC administers the urban-area share of the funds and the Northeast Minnesota Area Transportation Partnership (NE MN ATP) is responsible for administering the rest. Both the MIC and the NE MN ATP solicit, evaluate and select the specific roadway, transit and trail projects that will utilize the funds in those areas. These processes have been underway since the start of the year. As the Metropolitan Planning Organization (MPO) for this area, we are now finalizing the roster of all transportation projects slated to receive federal funding in the MIC area for the next four years. This list is called the “TIP” (Transportation Improvement Program) and it must include all federally-funded transportation projects in the Duluth metro for the coming four years. As projects in the current year get built, we add new ones to the outer year. This time around, the outer year is 2018. It is our job to work with local communities to determine how our (increasingly scarce share of) federal transportation dollars are spent. In a selection process that began in January, we solicited applications from local jurisdictions. 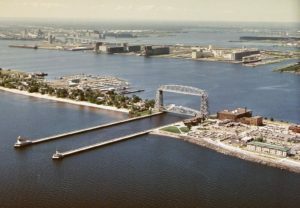 These potential projects were then published for public comment, evaluated and prioritized by the MIC’s Transportation Advisory Committee (TAC) and recommended by the MIC Policy Board, submitted for consideration to the NE MN ATP, and, in June, approved for inclusion in the draft version of the Duluth Area TIP 2015-2018. 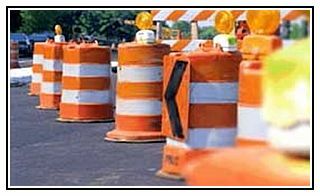 Resurfacing of Decker Road from Piedmont Avenue to Mall Drive. Repairs to storm water, curb and gutter and sidewalk systems. ADA improvements and bike lanes/shoulders. Purchase of three regular route vehicles to maintain existing fleet to safety, comfort, and efficiency standards. Transportation projects are public facilities and services funded with taxpayer dollars. Do you have any opinions about the importance of these proposed projects to our area? Since they have been chosen for funding in 2018, is there anything you have to say about these specific projects? You can learn more details about these projects, as well as those lined up for years 2015, 2016 and 2017 from the draft TIP document, which is open for public comment from now until July 31. MIC Office, 2nd floor skywalk level of the ARDC building, 221 W. First Street, Duluth. As we let you know on OpenMIC every year…there are three ways to have your say. Public comments are being taken through Thursday, July 31, 2014.